WILLEMSTAD/PHILIPSBURG – In its most recent Quarterly Bulletin, the Centrale Bank van Curaçao en Sint Maarten notes that because growth has remained lackluster in the monetary union over the past years, the unemployment rate is relatively high in both Curaçao and Sint Maarten. In particular, the unemployment rate among the youth is high. 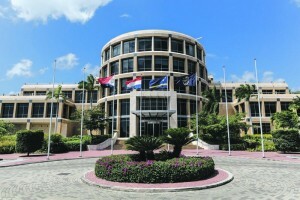 Curaçao and Sint Maarten are currently facing unique opportunities to reach a higher growth path. However, growth will be inclusive only if the labor force has the qualifications needed in the market. Hence, measures to improve the labor market and reduce the unemployment rate in a durable way should be high on the policy agendas of the new governments of both countries. As an increase in production tends to lead to a decline in unemployment, the governments of both countries need to focus on policies that stimulate economic growth in the short run. However, in the longer run, more fundamental changes are needed to improve the labor market in a sustainable manner. In that context, current policies and institutions that have an impact on the functioning of the labor market, productivity growth, and job creation need to be addressed. For example, the education system in both countries needs to be improved to provide youngsters with better opportunities when entering the labor market. Also, vocational training is important for acquiring the skills needed in the labor market. Furthermore, the effectiveness of labor market protection, minimum wages, and work permit legislation should be assessed and, if necessary, adjusted to attain a better balance between protecting workers and being competitive.